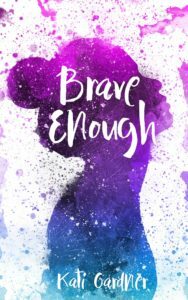 Brave Enough is a story I didn’t expect, and one I really enjoyed. It is a story about friendship, about recovery, and also about grief. There are so many layers to Brave Enough that I couldn’t get enough of. Davis and Cason are such compelling characters on their own. Seeing both of their perspectives was really like the icing on the cake. Their stories and struggles are more than meaningful, they’re tender. Davis is struggling with guilt, recovery, and trying to piece his life back together. While Cason is also struggling with grief, the necessity for adaptation, and her relationship with her mother. Even in these two sentences there is more to this. There’s Davis’s group of friends who are mostly cancer survivors and the different ways that their recovery process is effected – the ways society treats them. In Brave Enough there was really great discussion about person first language, about recovering after recovery, about the psychological toll, and about the ways people treat them. Their relationship unfolds like a dance. There’s different steps and learning process and tension and apprehension. What I loved about Brave Enough was that it’s not entirely a romantic aspect. What’s more important is the journey of Cason and Davis. Their own individual processes and the fact that before they can really be a couple, they have to learn how to be on their own. This is so overlooked that I relished that we were able to see their own struggles independent of each other. They both need support and they both can help each other, but they have to start with themselves. Check out Brave Enough on Goodreads. Oooh this looks so good, gorgeous cover too. added on my wanna read shelf! It is a beautiful cover that is also simple!